Enjoy your morning latte with the Beatles! This Beatles Film Negative 16 oz. Sublimated Latte Mug has a vintage black and white look. 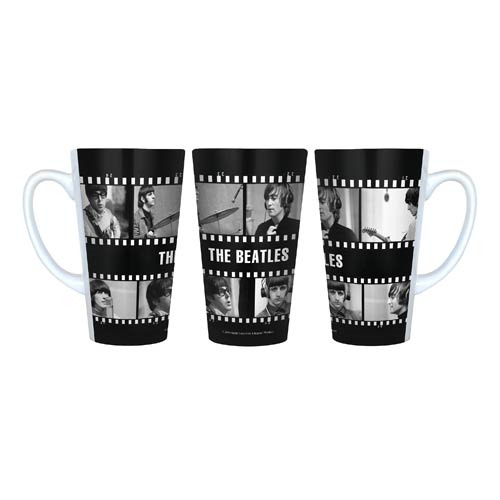 The ceramic latte mug holds up to 16 ounces of liquid and features photos of John Lennon, Paul McCartney, George Harrison, and Ringo Starr playing live that are made to look like film negatives. Microwave safe. Hand wash only. Not dishwasher safe.